Just days after raking Apple over the coals over gambling apps in the Chinese version of the App Store, the government announced harsh punishment for the Chinese online gambling market. In China, gambling is mostly illegal and the popular online version is proving difficult to contain. On Tuesday, the Chinese Ministry of Finance announced plans to “severely crack down on any form of illegal business activities, such as online private lottery and online gambling conducted in the name of lottery tickets.” This proclamation announced even more severe penalties than in previous policies. Although it is illegal, online gambling is a popular activity among Chinese citizens. The online gaming market in China is estimated to reach around AU$4 billion in 2018. Also, it is said to have the biggest underground gambling societies in the world. 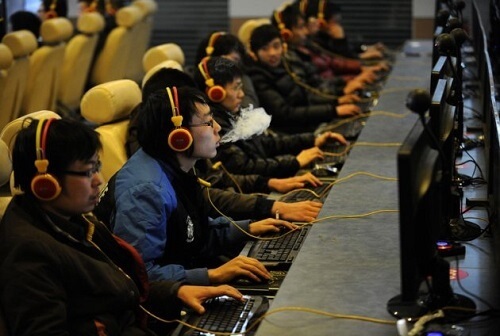 Despite the Chinese online gaming market being so big, the government still heavily regulates internet access. Before the 2018 World Cup, the government removed hundreds of Chinese online gambling websites. Therefore, online gambling moved to WeChat, China’s largest instant messaging platform, which resulted in authorities shutting down groups there. Consequently, they deleted 50 000 WeChat accounts and 8 000 group chats involved in World Cup betting. The announcement of harsher punishment for online gambling come after the Chinese government called out Apple for breaking their content bans in their Chinese App Store. The tech giant had to remove 25 000 gambling apps on the Chinese store. Apple has released a statement saying they will be “vigilant in our efforts to find these [apps] and stop them…”. China only permits gambling through two of the state-run lotteries. One is a “welfare lottery” where the profits collected go to the elderly and disabled. The second is a sports lottery where gamblers pick which soccer teams will win in soccer contests. According to Forbes, this is the second largest lottery in the world. You can only legally buy tickets for these two lotteries through land-based dealers. Online sales have been illegal since 2015. The government claims this is to combat fraud. For more of the latest casino news happening in Australia and internationally, visit Pokies.com.